Intelligence is at the heart of what makes us human, but the methods we use for identifying, talking about and valuing human intelligence are impoverished. We invest artificial intelligence (AI) with qualities it does not have and, in so doing, risk losing the capacity for education to pass on the emotional, collaborative, sensory and self-effective aspects of human intelligence that define us. To address this, Rosemary Luckin--leading expert in the application of AI in education - proposes a framework for understanding the complexity of human intelligence. She identifies the comparative limitation of AI when analyzed using the same framework, and offers clear-sighted recommendations for how educators can draw on what AI does best to nurture and expand our human capabilities. "This book questions our relationship with knowledge, interrogates our understanding of intelligence and considers what it means to be human in the age of machines. 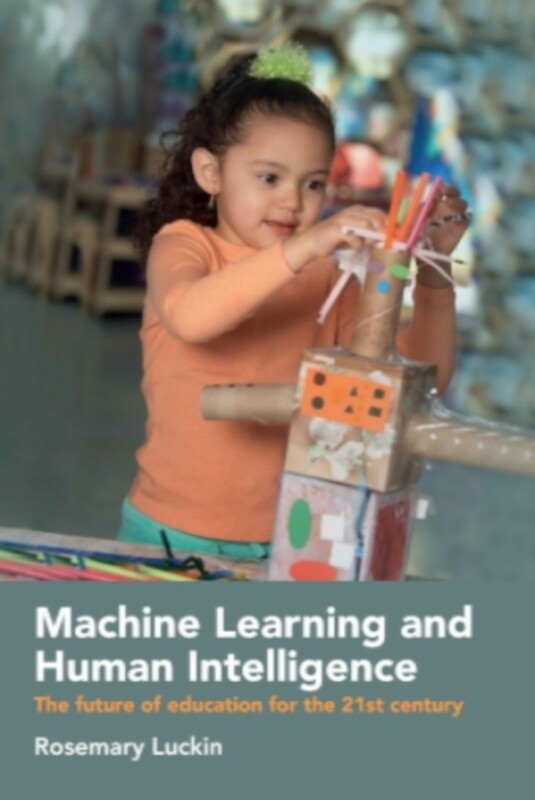 Rose Luckin’s belief that educators can and should be the crucial agents of change in our approach to AI makes this book a vitally important read for anyone interested in preparing a generation of young people for what lies ahead." "This is a fascinating examination of intelligence. Rose Luckin successfully unpacks the relationship between intelligence, knowledge and information, and clarifies the competitive advantage of the elements of human intelligence over artificial intelligence. Her case for urgently moving to an intelligence-based curriculum is compelling." "This highly accessible book offers a thoughtful, personal exploration of what it means to know. From this critical foundation Luckin offers a many-faceted consideration of intelligence as it applies to humans and as it might apply to non-human systems. Her observations on what all this means for education make this a book anyone concerned with the policy and practice of teaching and learning should read." "Few people if any understand the future of machine learning and AI, and their applications to education, better than Rose Luckin. There is no more important topic for those involved in education to comprehend. There is no better guide than this book." 5. Who moved my intelligence? Rosemary Luckin is Professor of Learner Centred Design at UCL Knowledge Lab in London. Her research involves the design and evaluation of educational technology using theories from the learning sciences and techniques from artificial intelligence (AI). She is also Director of EDUCATE: a London hub for Educational Technology StartUps, researchers and educators to work together on the development of evidence-informed educational technology. She is President of the International Society for Artificial Intelligence and Education.